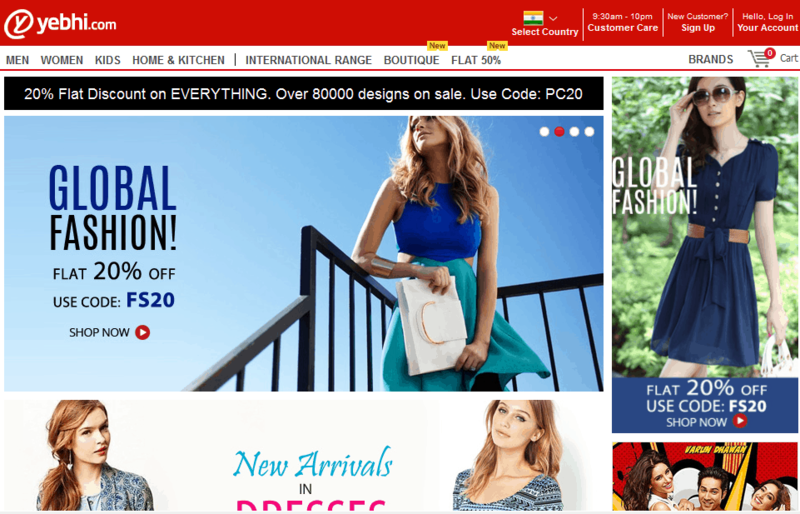 Yebhi.com is an Indian Online shopping E-commerce portal for Home, Lifestyle & Fashion e-retailer, launched in the year 2009. One of the biggest E-Commerce players in India, yebhi.com already had more than a million fans on Facebook and they wanted to make their presence felt on Twitter as well. They employed a hashtag that was #SachinBabaChaalisMore to accomplish their objective. #SachinBabaChaalisMore trended in India for around 39 hours over three days. It got trending within first 20 minutes of starting the contest, as soon as the first question was asked and reached number one position on the second day in India. • To make their presence felt on Twitter on Sachin Tendulkar’s Birthday. • #SachinBabaChaalisMore trended in India for around 39 hours over three days. It got trending within first 20 minutes of starting the contest, as soon as the first question was asked and reached number one position on the second day in India. • @Yebhi mentioned in 13,106 Tweets. • Poonam Pandey, India Today, AajTak, Max Television, Bajaj Allianz, Lipton were some of the notable Twitter handles which tweeted with #SachinBabaChaalisMore. 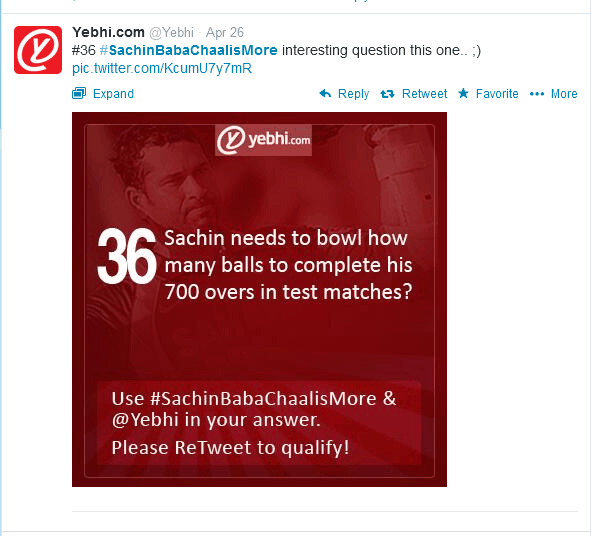 • At the peak, #SachinBabaChaalisMore was going at 32 Tweets/Minute!